Cycle-specific liner shorts you can wear under loose trousers or baggy shorts. Rapid-wick stretch-mesh fabric makes them cooler and more breathable than either cotton boxers or Lycra shorts. Seamless engineered cycle short for ultimate comfort made by Endura, Scotland's cycle clothing experts. 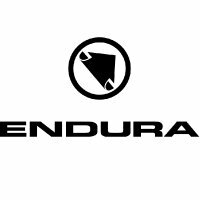 While many cyclists wear Lycra bechamoised shorts under their loose trousers or baggy shorts, Endura Women's Engineered Padded Knickers are a better idea.